The Yunhe Jingdian Hotel was recently opened in 2018, making it a fantastic choice for those staying in Yangzhou. 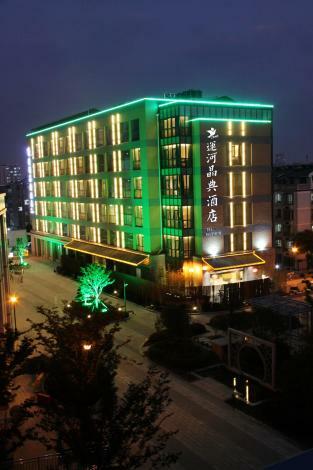 The hotel offers easy access to Yangzhou Railway Station, just 12km away. Guests will find Yangzhou Ancient Canal, Viburnum Temple and Fuyuan Garden just a short distance from the hotel. After a long day of sightseeing, guests can retire to the comfort of the hotel. Travelers requiring pickup service can book this directly through the hotel. Airport pickup can be arranged by the hotel upon request. This Yangzhou hotel features parking on site.